Here it is. My home away from home. The place I worked at from 1988 to 1994. 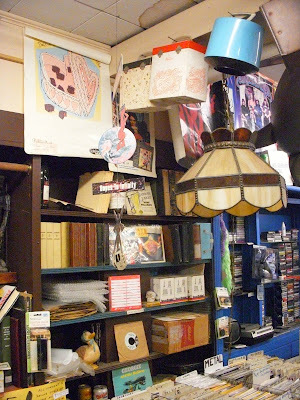 The record store that taught me more than any classroom could have about music history and the art of record collecting. 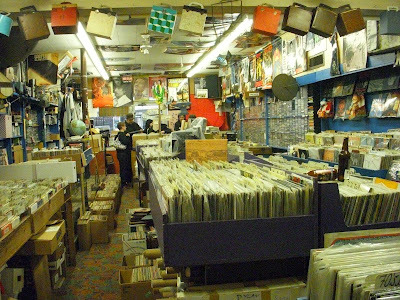 This store changed my life (although for better or for worse I have yet to decide) and my obsession with music was kindled here. Owner Dan Dondiego is still a mentor to me as he knows more about music than any one man should. 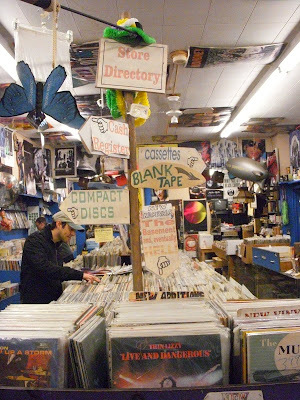 Flipside Records is a legendary New Jersey record store that has a bounty of used records - the kind of records you just don't find anywhere else no less at a decent price. As you can see, it is sort of a free for all so it takes a little digging but it is always worth the trouble. There is always something ridiculously weird or cool to discover there although it may be hidden under scattered beer bottles or next to a zucchini in a birdcage. I heart NJ but I love Flipside more. And don't bother looking them up on the internet. They don't do computers. This is a drive and see for yourself sorta adventure. All I can say is - "Thin Lizzy - Live and Dangerous!" Ha I bought Thin Lizzy Fighting Lp at flipside 2 weeks ago. when did this store first open? Its been there as long as I can remember it and doesn't really change much either. I LOVE this store (and coincidentally found your blog because i was hoping they had gone online by now) - I spent a ridiculous amount of time (and money) here during high school and until i move out of NJ (94 - 02). 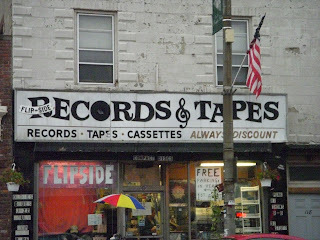 I miss it, we have some good record stores in Albany, NY but NOTHING like Flipside where I could never leave without spending more $ than I should. Ahh memories, I still stop by whenever I am visiting family in Ringwood. dan the owner is a dear friend of mine, we are occasional bandmates(the creatures of the golden dawn ,the creeping pumpkins ...etc) i had the great fortune of traveling to moscow USSR back in 02 with him to play mod music ...what a blast and what a great guy!!! flip side is astore that's caught in a time warp....so is dan dondiego for that matter!!! So many great albums bought there, couldn't get the Pink Fairies' Kings Of Oblivion off my turntable for weeks! Love going here with my son. 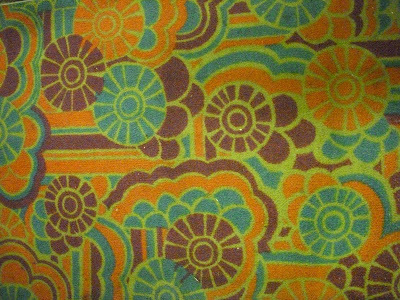 There is always something new to discover.